Based on remarks from a American Express agent we were overly excited about the 100k Platinum card $200 statement credit. We couldn’t wait for the card benefits so we applied and were approved for the 100,000 targeted offer for the Amex Platinum Card. Initially an agent informed us that the $200 statement credit would apply to each card added to the account. We asked for clarification and he informed us that each new card would also receive a $200 statement credit. If that were the case, the $175 fee to add additional cards would net the card owner a $25 bonus for adding cards. This would have been amazing but was too good to be true. We received formal clarification from American Express regarding the $200 statement credit. According to American Express the eligible charges where the statement credit will apply are outlined below. To have your airline fee credited back to your account you must first designate an airline preference. This can be done in a few moments by calling the American Express Platinum line. Excluded fees and terms are outlined below. 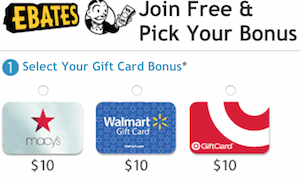 While airline gift cards are listed as an excluded item, it is widely reported that gift cards will work with the statement credit. In addition, the initial agent informed me that “anything airline related that is not a flight” will be credited back to the account. We received the initial card priority pass member card this week. The priority pass account provides the card holder with free access to over 600 club lounges world wide. This is great because there is a United Club lounge in Atlanta which I passed by the other day. Now we have access to American, Delta, and United club lounges in Atlanta, fantastic! It seems that when it rains it pours. Since applying for the 100,000 American Express Platinum Card, Mrs Weekly has been bombarded with additional credit card offers. None of the offers have been application worthy, but at least now Mrs Weekly Flyer is saving each and every card application for me to review before shredding. The $200 statement credit for additional cards is not as good as it seems, but it is still a great benefit. Priority Pass account gives access to United Club lounges. The best part about the targeted offer is the 100,000 bonus membership rewards points. We are already dreaming of ways to spend these points to get to exotic locations and amend our trip report page. Do you know what benefits, if any, accrue to the secondary card holders? 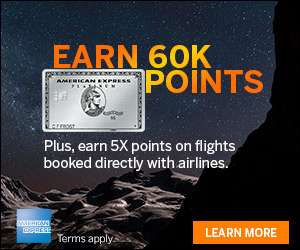 Starwood gold, priority pass, global entry, car rental company status, etc? i can confirm starwood gold, priority pass select, and global entry are extended to secondary card holders. the others i cannot comment on. Are you sure you can get into United Clubs with Priority Pass? I have seen signs in U Clubs at the front entrance ever since the CO/UA tieup went final stating that Priority Pass holders from USA based credit card holders would not be admitted into the United Club. And remember that the $200 airline incidental credit is per year. So if you are planning on cancelling prior to the 1 year mark, you can get it this year and next and only pay 1 year annual fee. What are the charges for accessing United clubs with priority pass? I would check your statement that United lounges are included in Priority pass. Unless something has changed in the month since I cancelled, AMEX Platinum cardmembers only get Priority Pass select, which specifically excludes the United RCC. 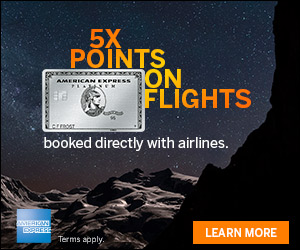 United Clubs are NOT included in the Priority Pass Select membership provided by Amex Platinum. Continental Presidents Clubs were included thru Sept 30 of last year. Domestically, the Plat card will let you into Delta Sky Clubs (with same-day boarding pass), American Admirals Club (with same-day boarding pass) and US Airways clubs (regardless of carrier you’re traveling) with one guest or family members traveling with you. Priority Pass Select card will let you into participating lounges (which you can find on their site — make sure you specify your membership level) and these are generally contract lounges abroad. Shhh, don’t tell anyone, but I get my AA gift cards, when bought $50 at a time, reimbursed by my Platinum Amex, up to the $200 yearly limit. Key seems to be buying in the smaller denominations, at least with AA. Also, Priority Pass is only for the primary card holder, companions pay a $25-$29 fee per person upon entry to a club. United will reject Priority Pass Select without even apologizing. Sky Clubs, US Air Club, and Admiral Clubs will allow family members or two none-family member companions with you.